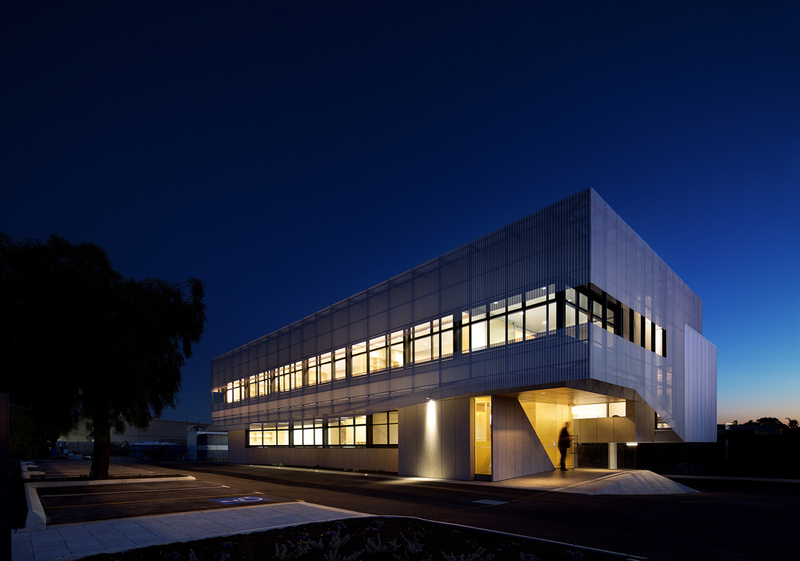 Located in the inner-Eastern Perth suburb of Welshpool, Sanwell's new headquarters presents a contemporary language whilst respecting the surrounding industrial precinct aesthetic. 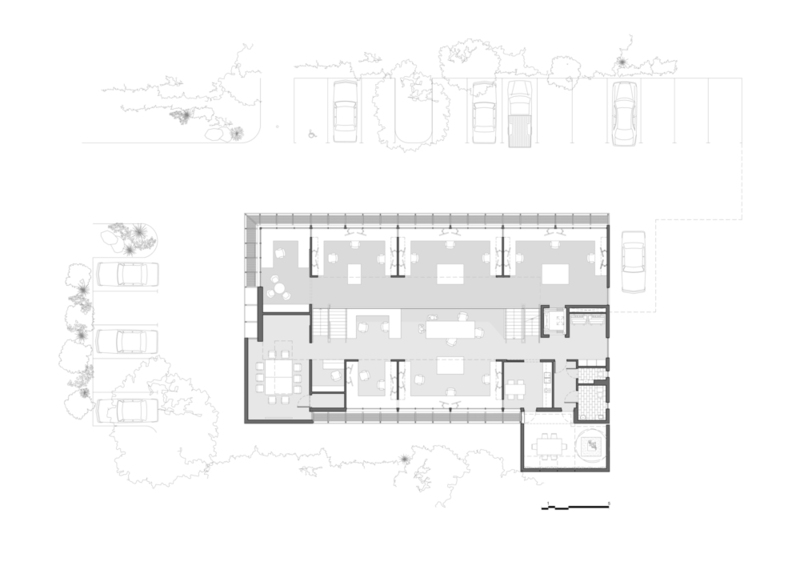 The form seeks to explore the proposition of how a commercial office can sit harmoniously within a staunchly industrial context, while still providing visual connectivity to the surrounds and amenity to natural light. Aesthetically it functions as both an homage to and an updated form of the adjacent factory typology, utilizing the existing language and vernacular of the industrial, whilst re-imagining it as a visually permeable beacon of sustainability and future flexibility. Through close collaboration with client, the bare-bones original project scope evolved to encompass a more complex and complete resolution to the extremely acute needs of the eventual users. 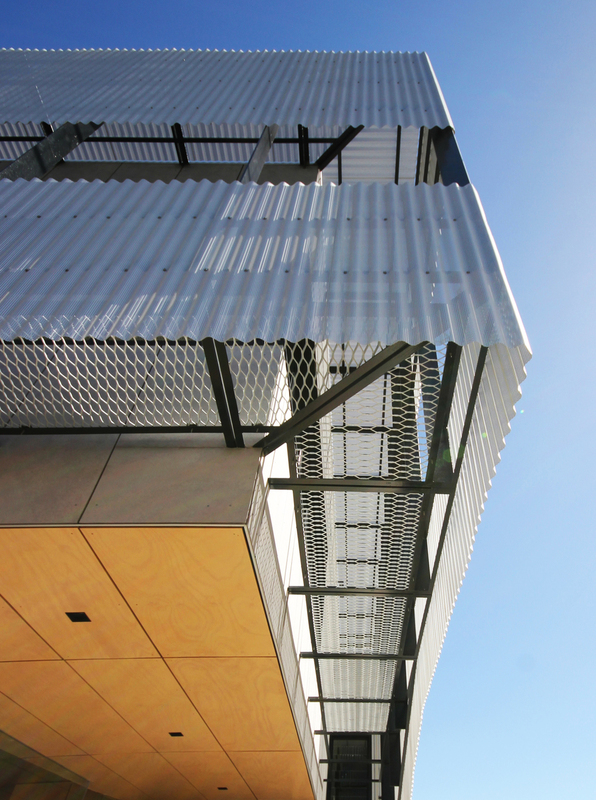 This synergistic journey of both architect and client led to a radical re-imagining of the traditional tilt-up industrial office, resulting in a dynamic split level, cantilevered office structure wrapped in permeable aluminium brise-soleil. 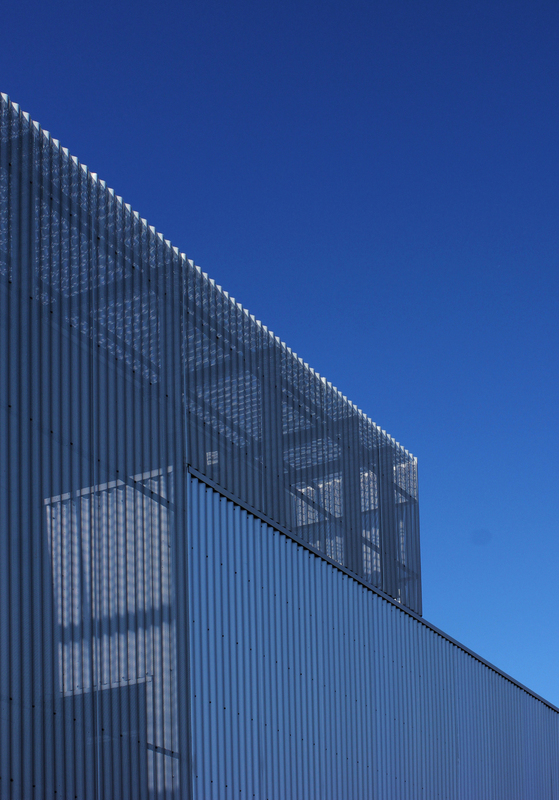 Through a strong emphasis on flexibility and adaptability within the design, the Sanwell office buildings projected lifespan has been dramatically increased. The deliberate provision for both changing technologies and business growth or restructuring have ensured that the building will maintain relevance and value, growing and changing with its occupants.